THE WEST HIGHLAND WAY 'CHALLENGE' RACE. AND IF FIT ENOUGH, THE ADDITIONAL 'OPTION' OF THE BEN NEVIS CLIMB, AS A 'GRAND FINALE' TO THE RACE. 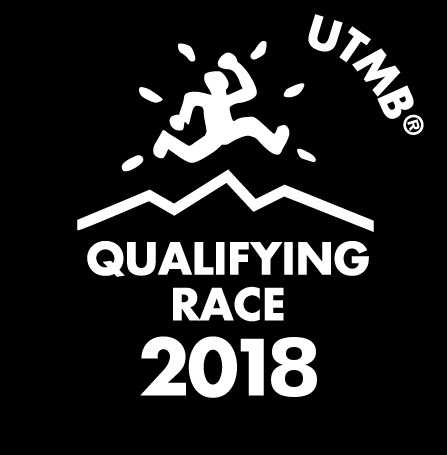 The 2019 race will receive 5 POINTS towards UTMB Series. THIS RACE IS OPEN TO RUNNERS, JOGGERS AND STEADY WALKERS. Race date : Saturday 25th May 2019 ENTRIES OPEN see 'RESULTS & ENTRIES' page for names. 95 miles in 35 hours along the beautiful, scenic and rugged West Highland Way. The WHW is Scotland's premier route, which opened in 1980 and is well signposted with permanent marker posts. THE 2018 'RACE REPORT' IS NOW PUBLISHED. Welcome to the West Highland Way 'CHALLENGE' Race. The WHW Challenge Race is a 95 mile 'Point to Point Race'. The race will start at Milngavie at 1 second after midnight on Saturday 25th May 2019 and finish in Fort William. The race is scheduled to be completed in 35 hours, although this time may be extended if adverse weather conditions prevail. Those finishing the WHW route in under 30 hours will be given the 'additional option' to carry on with an ascent and descent of Ben Nevis, weather permitting and at the race organisers discretion, increasing the race distance to 105 miles and 19,175ft of ascent. 1. To get as many of the competitors to the finish, or as far up the route, as possible. 2. To make the race, to the competitor, as friendly, simple and hassle free as possible. 3. To provide value for money to the competitor. 1. TO GET AS MANY OF THE COMPETITORS TO THE FINISH. To complete the 95 miles of the WHW in 35 hours requires only an average speed of 2.7 mph and the Check Point and the WHW Challenge Race cut- off times are calculated on this average speed. Novices to ultra distance running may think this is the aim of all trail races. Sadly many endurance races deliberately apply unjust 'cut off' times in the early stages of their race to deliberately 'dump' slower runners out of the race, even though the competitor would have completed the race route in the allotted finish time. Even more deplorable is that this insidious practice is supported and encouraged by Scotland's governing sports body, 'Scottish Athletics' who certify these races. These Race's and Scottish Athletics take the competitors money and then after much training, expenditure and preparation time, by the competitor the competitors are then 'dumped' out of the race. Such a rip-off's in making unjustifiabe cut-off times brings ultra trail running and sport into disrepute. An example of this is: In the WHW Challenge Race the cut off time to Rowardennan, is 10 hours, while other races over the same route and with the same overall similar race duration time, allow only 7 hours, this being 3 hours less than that applied by the WHW Challenge Race which is based on average speed for the course. A race which fails to apply the average speed to cut-off's is not unfortunately a 'Point to Point Race', but is a called a 'Section Race,' as it requires different speeds to be covered over the various sections of the race route. Where a 'Point to Point Race' includes the full race time. In a 'Section Race' if the competitor does not make the faster time for a particular section then they are disqualified and out of the race. Basically, 'Section Races' are a series off back to back 'mini races' and should not be classed as an ultra. Unfair cut-off times for sections are detrimental to competitors, who walk/jog at a steady average pace, or are just a steady walker, or competitors who have gone through a bad patch, or even got lost for a short time, etc. These competitors are still disqualified, even though they can still easily complete the rest of the 95 mile race route in the allotted time of 35 hours. In a 'Section Race' a high degree of withdrawals occur in the first half of the races due to the faster pace the competitors are required to run in the first half of the race. In 'Sectional Races' competitor withdrawals are mainly due to 'burn out' and 'stress' from the competitors striving to meet these unreasonable and unnecessary 'section' cut off times. These withdrawals can be seen when reviewing the 'results' tables for section races. One race even had the first 60 miles (in 18 hours) to be covered at an average 3.33 mph and the next 35 miles (in 17 hours) to be covered at an average speed of only 2.06 mph ( a 62% difference). Naturally that particular race had a high incidence of runners being disqualified, or pulling out in the first part of the race and sadly the only justification for such cut-off times was to save the organisers a great deal of money in completion trophies. The race has a friendly atmosphere and this can be seen by the number of entrants that return to it from both the UK and abroad. To assist in making it competitor friendly the WHW Challenge Race supplies the food and drinks to the competitors at 7 Check Points along the 95 mile route. In addition to the 7 Check Points the race also provides 4 additional Water Points. Thus providing 11 support stations during the actual 95 mile race. In addition to the CP's and WP's the competitors can also provide their own 'Drop-Bags' at 3 of the Check Points at the 27, 60 and 81 mile, Check Points. These drop bags can be used by the competitor for additional personal food, drink, clothing, shoes, etc. After use the competitors 'drop bags' will be transported DIRECTLY to the finish at Fort William. The competitor's 'finish bag' is also transported from Milingavie to the finish at Fort William. IN THE EVENT OF A COMPETITOR WITHDRAWING FROM THE RACE, THEN THEY WILL BE TRANSPORTED TO FORT WILLIAM. A support car is not required for the WHW Race. Most importantly compared to other races the competitor does not require to 'find' and 'impose' on TWO PEOPLE, to act as support driver and support runner for the whole week-end. One reason we discorage support drivers from following the whole race is they can end up getting no sleep for up to over 40 hours, making driving 'extremely dangerous' for themselves and others. 1. The competitor saves in not having to provide fuel for a 'support car' from Milngavie to Fort William and back. 3. There is a considerable saving in money and logistics in not requiring to provide, food and drinks for the competitor and TWO additional support staff, during the race. 4. Meals and lodgings prior and after the race are not required for TWO SUPPORT people. 5. Free showers, changing, food and drinks are provided at the Fort William at the end of the race. 6. The competitor is provider with free camping at the end of the race thus saving in lodgings . 7. Foreign competitors save on two flights that are not required for the support driver and support runner. 8. Scottish based competitors entering the WHW Challenge Race can save £500, while UK runners can save over £1,000 and foreign competitors can save several thousands pounds. Some foreign competitors spend only £15, during their whole visit to the UK, this being for the taxi from the Glasgow Airport to Milngavie, everything else is provided by the race and they return by the race coach to Glasgow Airport and home. 'Novices' have taken part in the WHW Challenge Race and completed it. This was achieved by not making over stringent entry requirements and by not making the cut-off times unachievable to steady walkers and walk/joggers, thus ensuring the maximum number of competitors FINISH the race and most of all enjoy it. A steady walking pace is 3.2 mph, therfore in 30 hours walking, 96 miles is covered, leaving 5 hours rest time. This gives 40 minutes at each of the 7 Check Points and 5 minutes at each of the 4 Water Points, thus making the race easily achievable for pure walkers. Even if a person is just over the 35 hour time we are not going to quibble (see results). If a pure walker then talk it through with Jim Drummond (01786 841715) and possibly an early start could be arranged to increase your 'buffer' time. Some of the UK's most 'seasoned ultra runners' have participated in the WHW Challenge Race, due to it simplicity and cost savings. These people compete frequently in races and just want to turn up by themselves, run the event with food and drink provided and go home, others seek the points for the UTMB Series. Now also these competitor's have the extra option to extend themselves by climbing Ben Nevis, which is good training if entering the UTMB. The race also welcomes those who just want to see how far they can go in an event and if they decide to withdraw, then they have the reassurance be transported to the finish at Fort William, without any worries. Some just wish to enjoy the stunning Scottish scenery and the camaraderie provided by a small event. 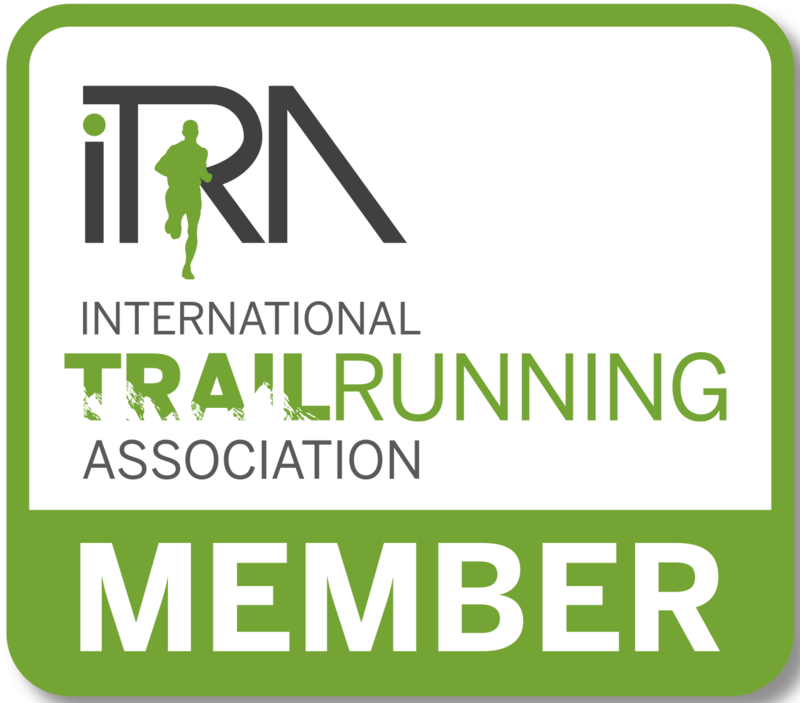 Plus also to learn about ultra running from the very experienced officials and competitors taking part in the race. An additional concern to many competitors who in other races which require a 'back up' crew, is the competitors feels the extra pressure that if they withdraw, or go slow, then they are letting the support team down as well. It is easier on the competitor when they have no 'back up' team, then they do not have the extra strain of letting the team down. In many instances not having a support teams makes for a better race time, as the competitor come into a Check Point get their food and drink and head out again. With support teams at the CP's, there is a tendency to sit and converse with the support team, as they have put themselves out for the competitor. ALL COMPETITORS who complete the race will receive a boxed, Glencairn Crystal cut 'Skye' fluted wine goblet. The glass is engraved with the WHW route, including the main mountains which were passed along the route. A 'Completion Certificate' will be awarded to the competitors who finish the race. In addition competitors who complete the 'full' WHW Challenge Race ( 95 miles) on the Saturday. Those not already in the 'CLUB' will be presented with a personalised KEYRING, with their 'name inscribed' on it and on the reverse side printed 'THE WEST HIGHLAND WAY IN A DAY CLUB' confirming they are a member of this elite club. The race presents THREE TROPHIES, to the FIRST, SECOND and THIRD finishers. No competitor sub-group trophies are awarded in this race e.g. Men (only), Women (only) ; Vets men ; Vets women ; 50+men, 50+women ; 60+men ; 60+ women ; 70+men 70+ women ; teams ; juniors ; etc, etc. The reason for not having race sub-group trophies like in many other races, is the Race Committee feel everyone who completes the ultra, WHW CHALLENGE RACE, has completed a great achievment and deserve a trophy to remember the race by, so ALL FINISHERS ARE AWARDED A TROPHY, of a boxed, Glencairn Crystal cut 'Skye' fluted wine glass. These race glasses are very expensive, especially with the race route engraved on the glass. 10 RACE DECANTER : On completion of TEN, WHW Challenge Races a 'Skye' decanter will be presented to the competitor to go with their 10 'Skye' completion glasses to make up the set. Competitors withdrawing before the end of the Challenge Race will be awarded a 'Certificate' indicating the distance they covered and time taken.